Since 1946, children and youth have been exploring their faith and living in community at Holmes Presbyterian Camp and Conference Center. In fact, many of our staff (summer and year-round!) have grown up at Holmes! Together, we strive to provide all who come to Holmes a place where they feel welcomed, loved, and comfortable to both play and learn – to appreciate each other, to recognize and follow God, and to tackle new challenges. At Holmes, we focus on building a community . Campers and counselors join together to create family groups, with two counselors and about 10-14 coed campers. 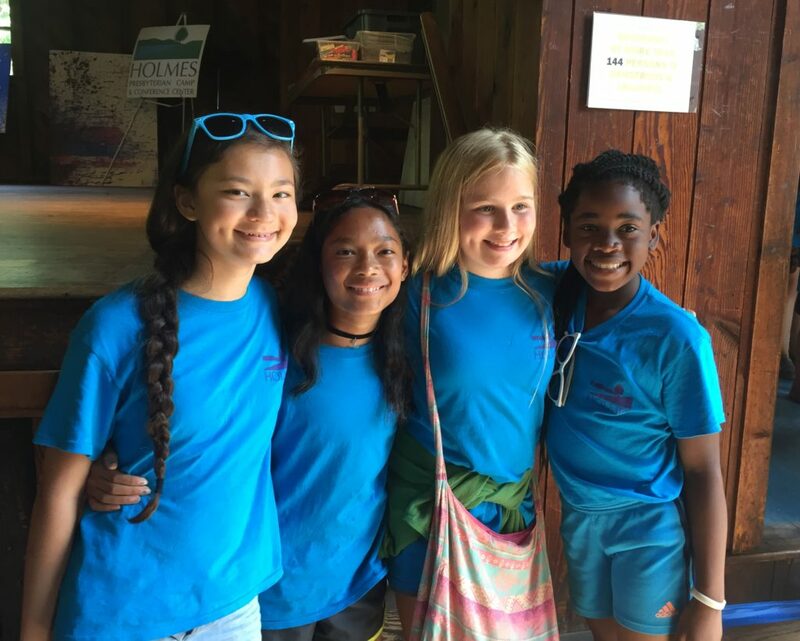 This small group model allows campers to form meaningful friendships and counselors to get to know their campers better. Check out the Summer Camp Schedule today! Engage in Bible study and verbally demonstrate an understanding of Christian community. Demonstrate respect for self, authority and the rights and property of others. Develop responsibility through group living tasks. Form an interest in exploring and enjoying the natural environment. Express creativity through crafts, problem solving, worship and personal interactions. Each day family groups of campers of similar ages will gather together for Bible study, evening activity and evening Vespers. Time spent in small family groups and large age group activities enable the campers to form a close Christian community. These opportunities are the foundation of our summer camp experience. Your child will create lasting memories and friendships! Holmes Presbyterian Camp and Conference Center is one of more than 2,500 camps that have achieved ACA Accreditation nationwide. For over fifty years, the American Camp Association (ACA) accreditation process has grown to keep pace with changes in the camp industry, expectations of the public, and the challenges of operating a business in today’s highly regulated society. ACA standards help with every aspect of camp management and operation – including where campers live and play, how we hire and train our staff, the records we keep, how we plan and lead our activities, how housekeeping and maintenance stores chemicals and tools, emergency procedures, and more. More information about Accreditation may be found at www.acacamps.org or www.acacamps.org/campers-families. 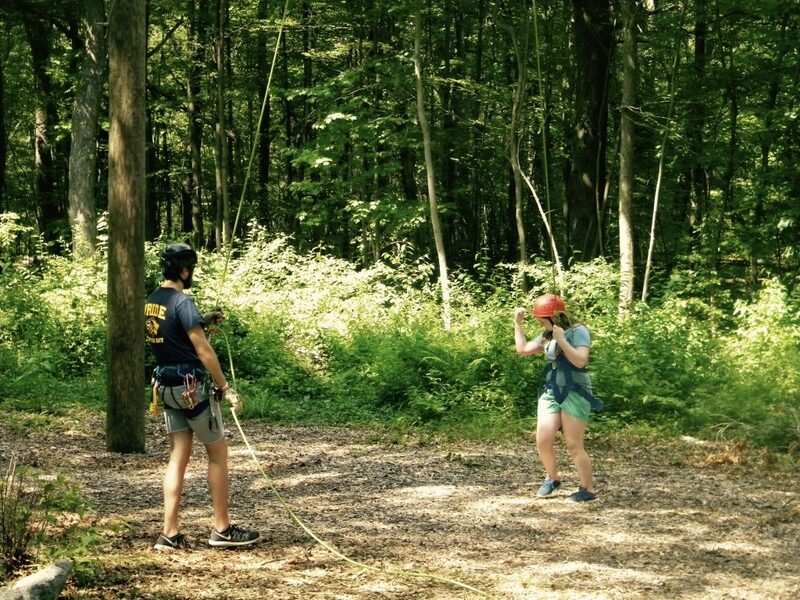 In addition to American Camp Association Accreditation, Holmes Presbyterian Camp and Conference Association operates under supervision of the New York State Health Department regulations governing summer camps. The Putnam County Health Department conducts extensive review of our planning materials, staff selection and training and camp operation. We receive 2-4 routine visits from the Putnam County Health Department each summer to confirm our compliance with regulations and a safe summer camp program.